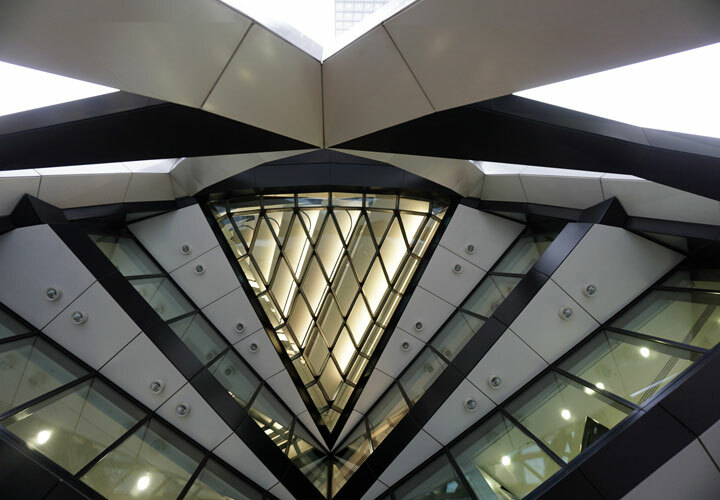 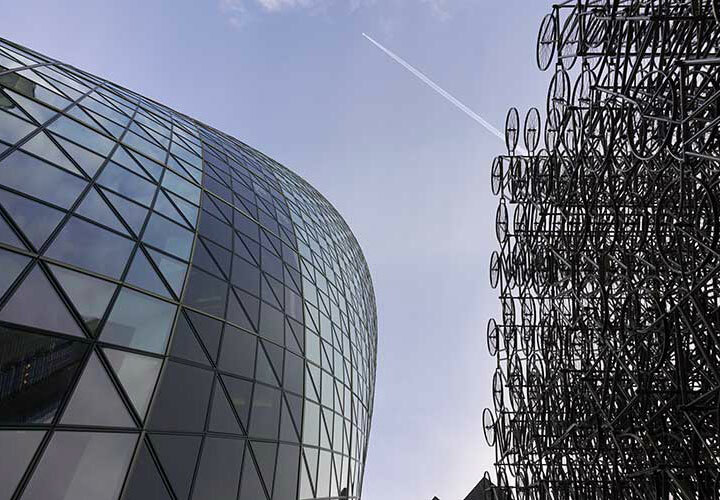 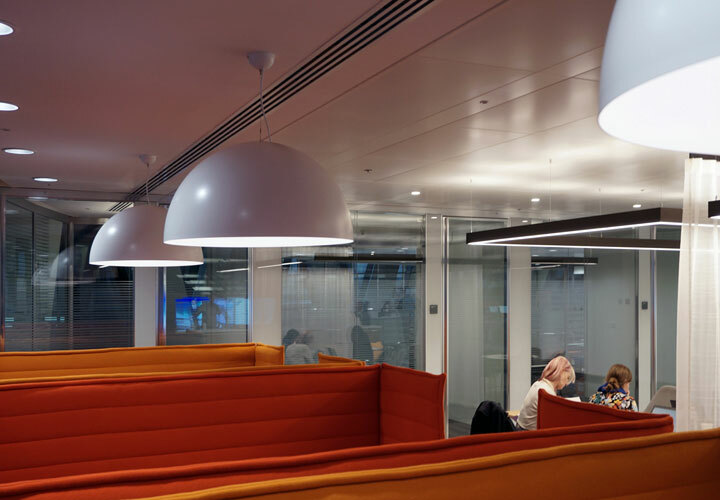 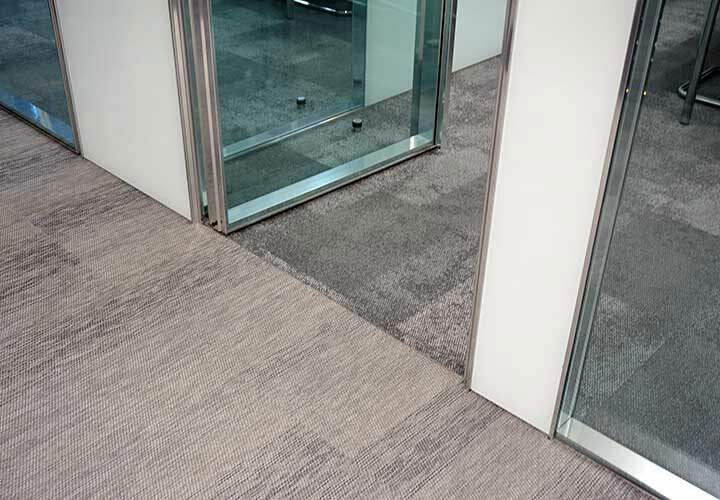 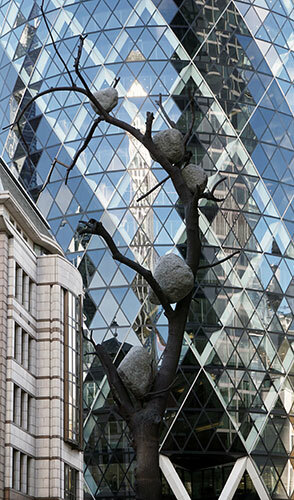 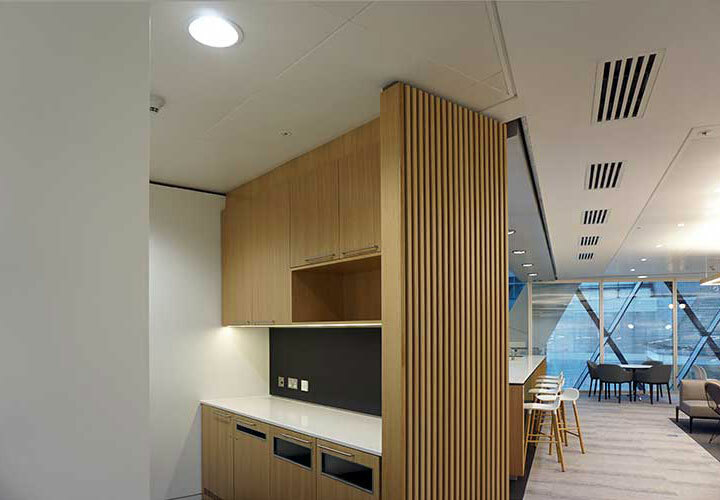 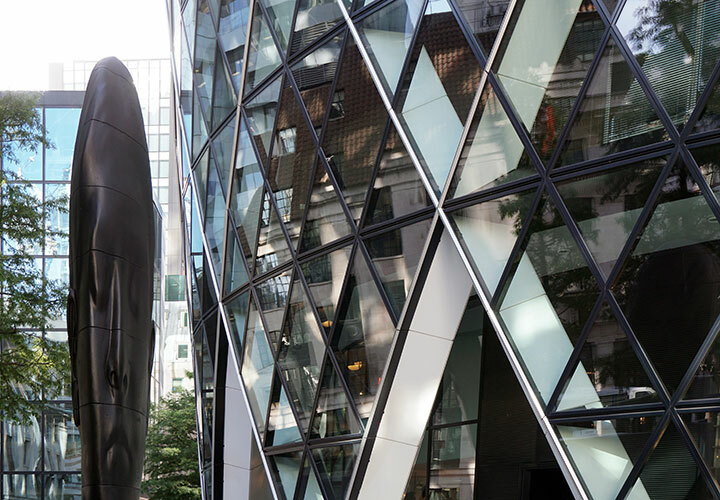 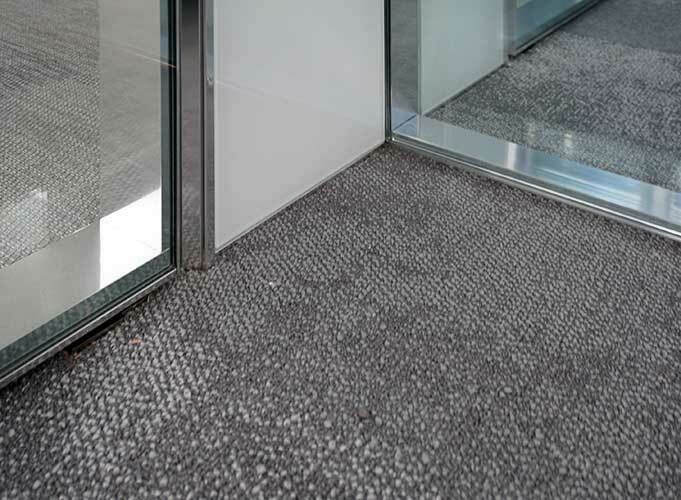 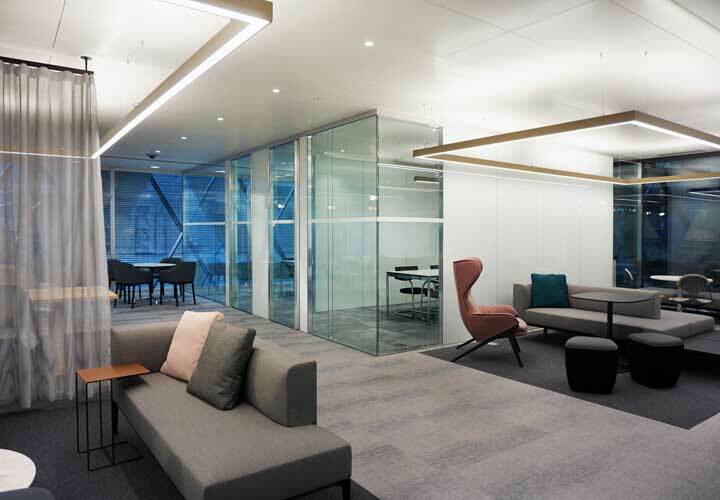 The refurbishment of an existing floor of this iconic building was undertaken to refresh the interior after 10+years of use. 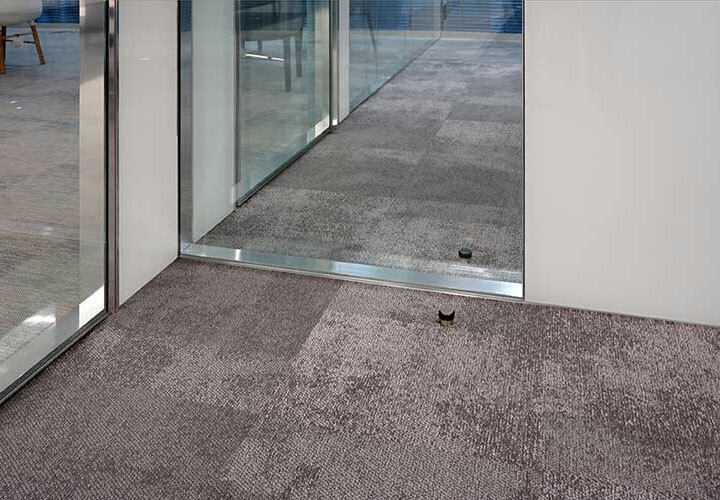 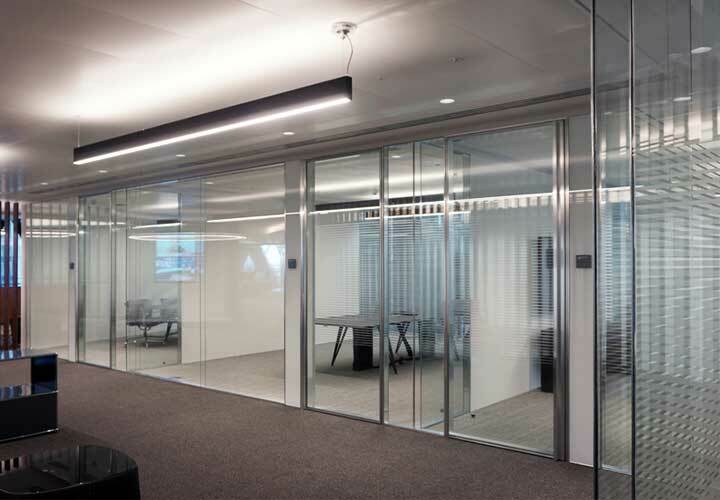 Most of the existing P500 Faram partitions were reused in different layouts proving the robustness and relocatibility of the system. 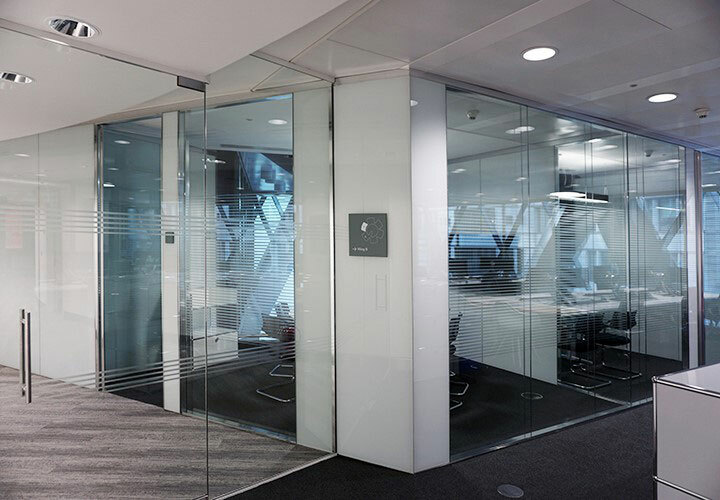 A classic framed glazed system clipped into steel uprights with a dark grey anthracite finish still look good after 10 years. 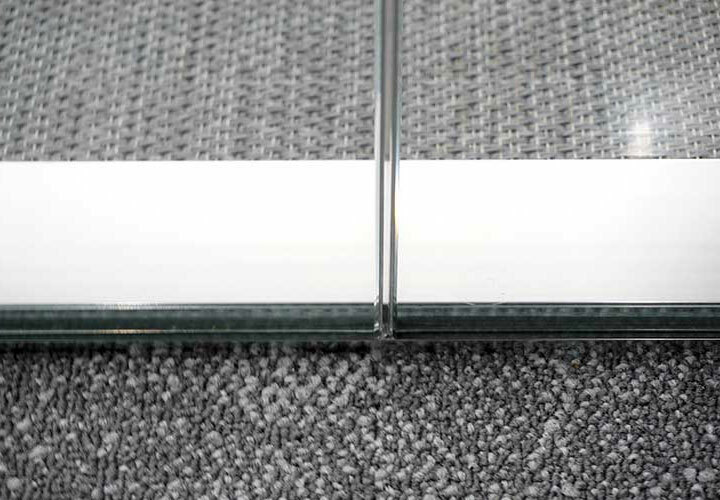 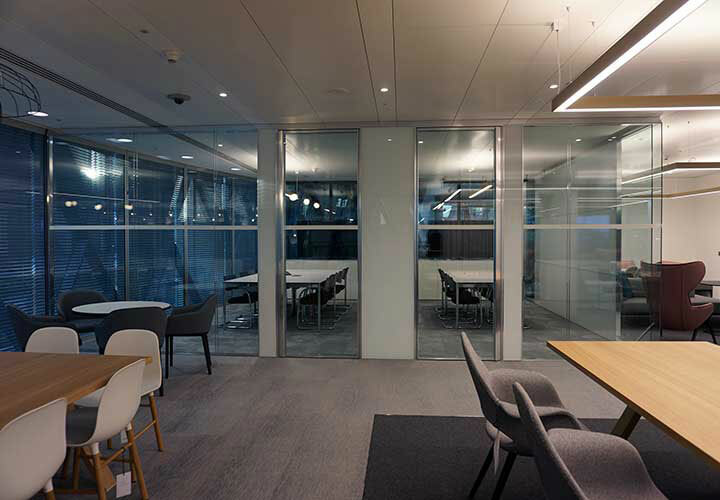 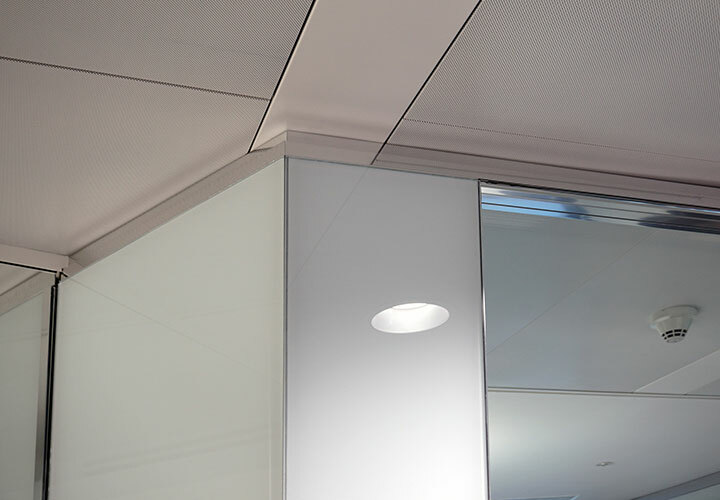 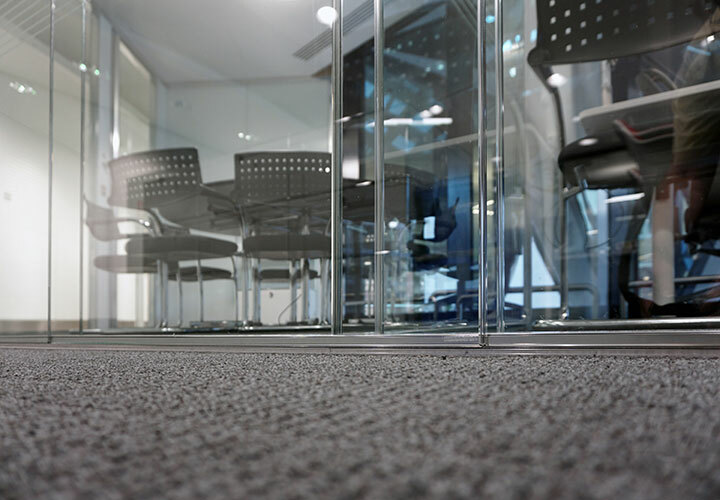 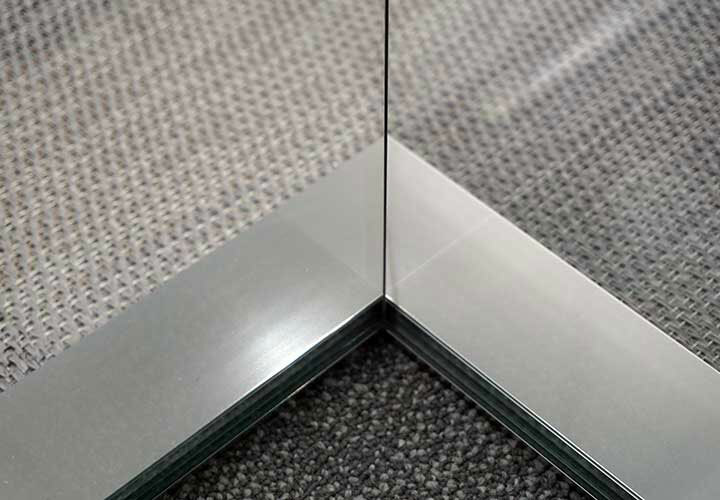 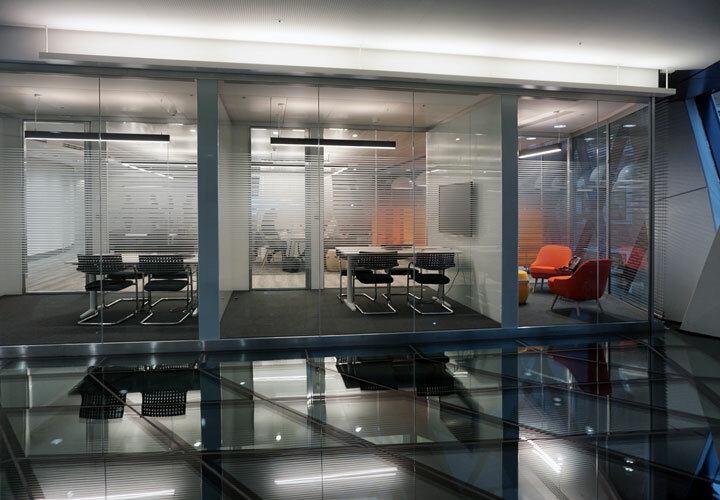 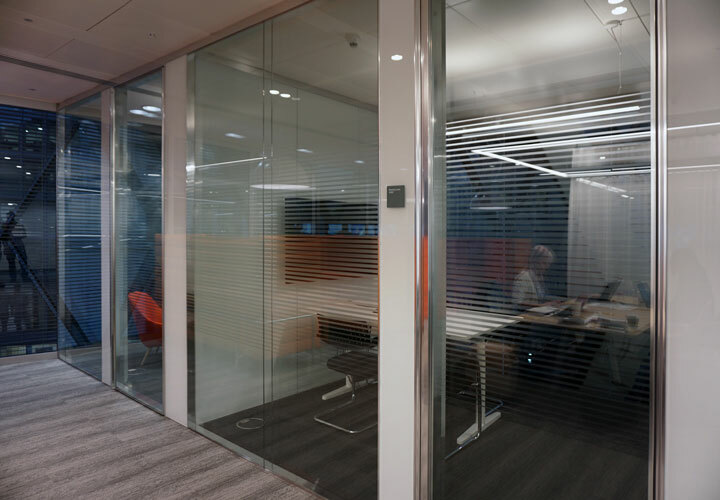 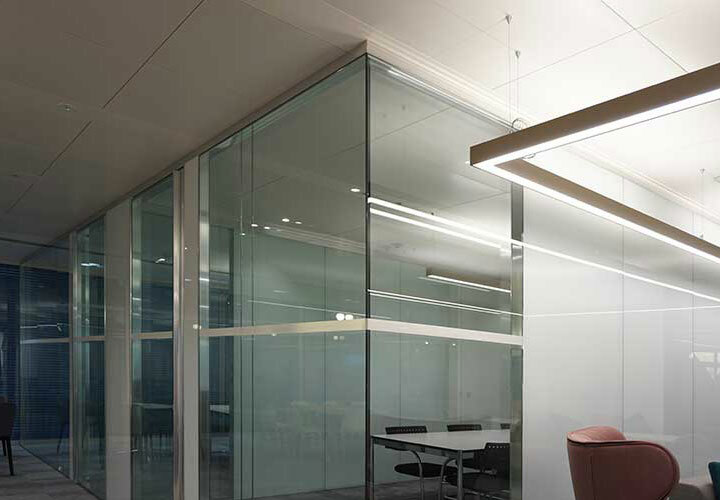 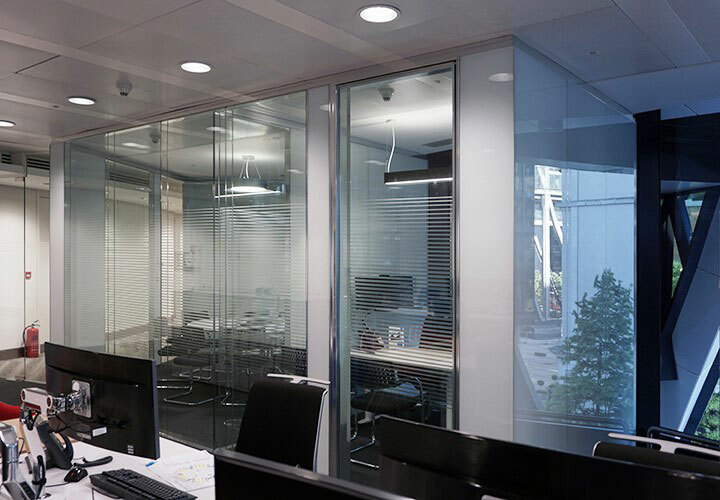 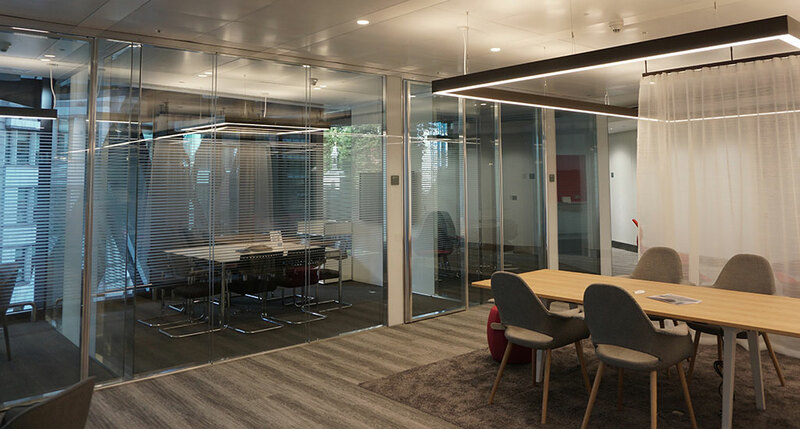 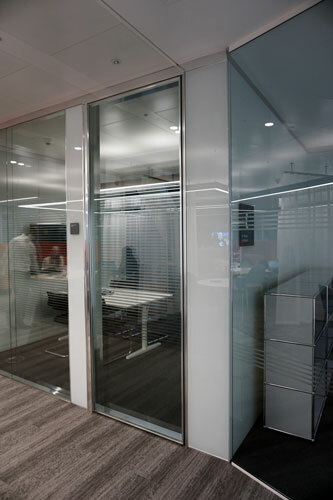 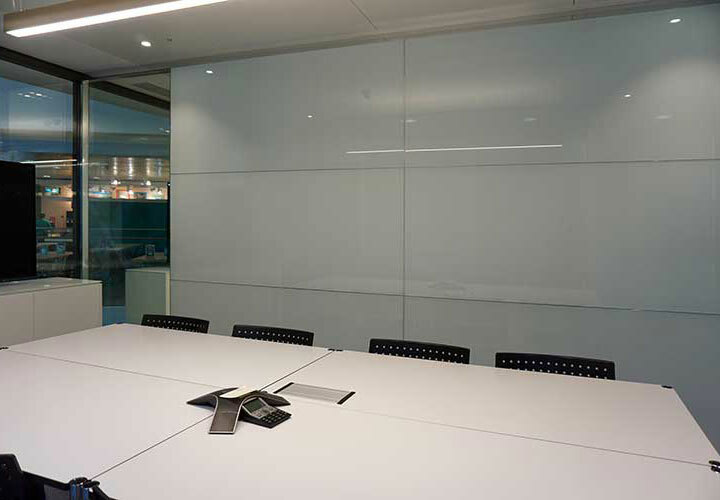 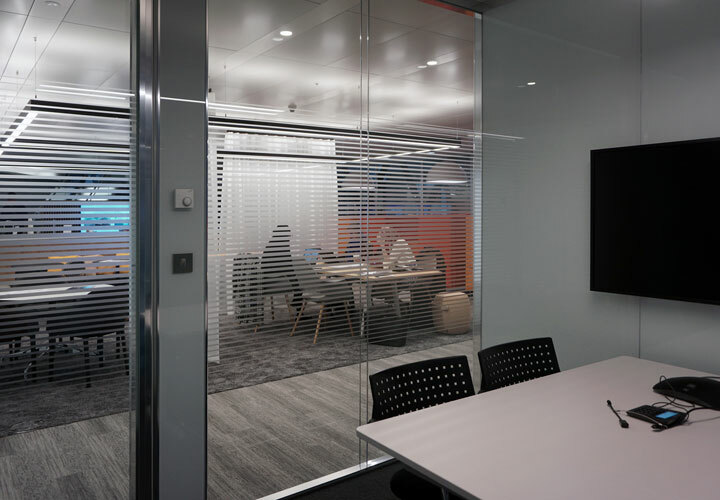 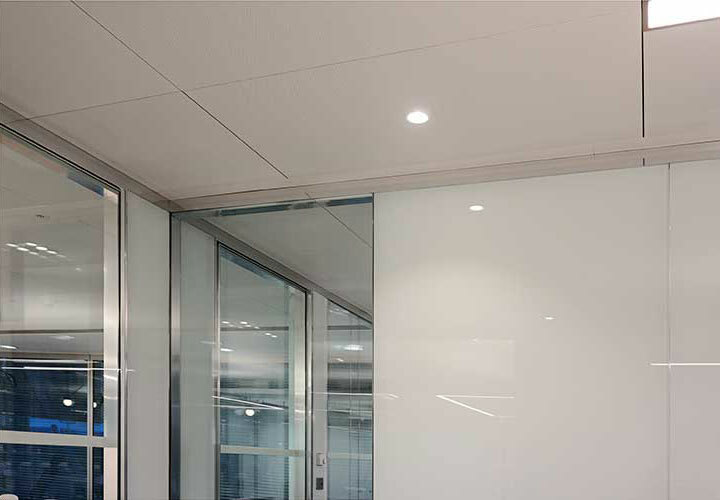 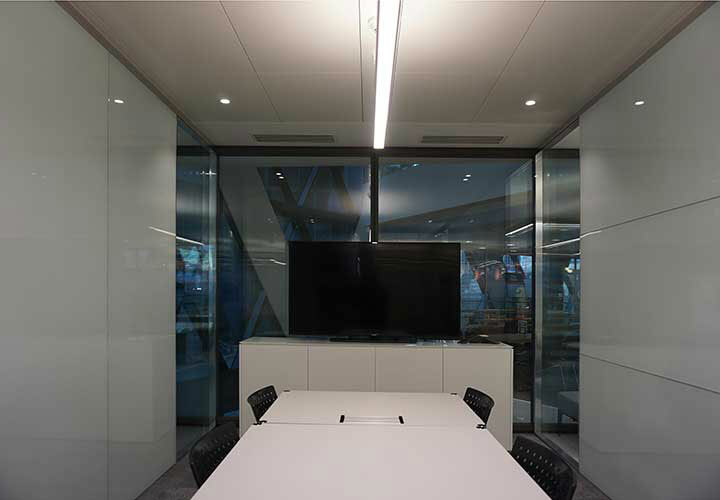 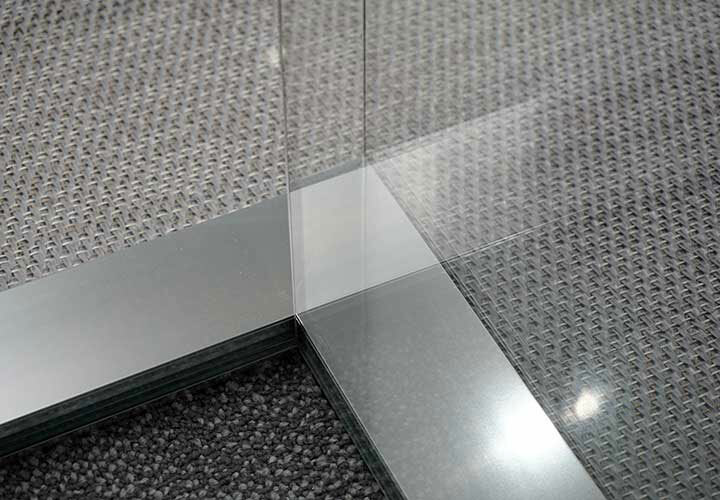 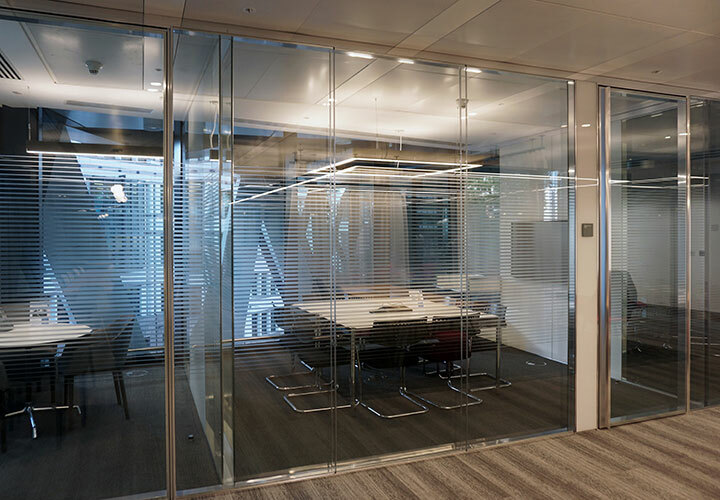 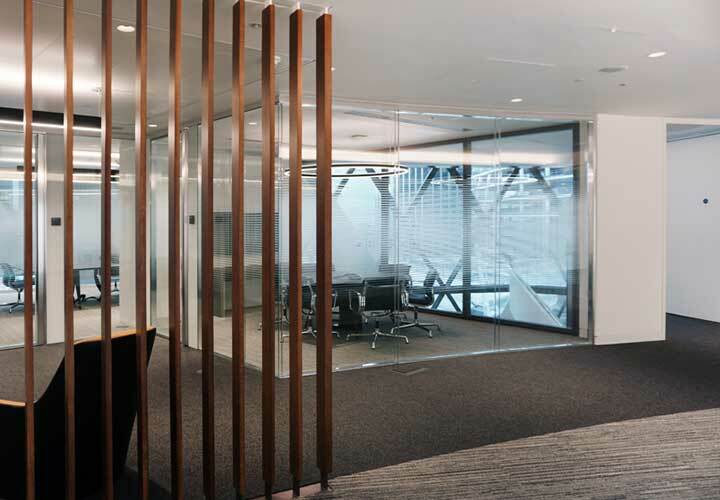 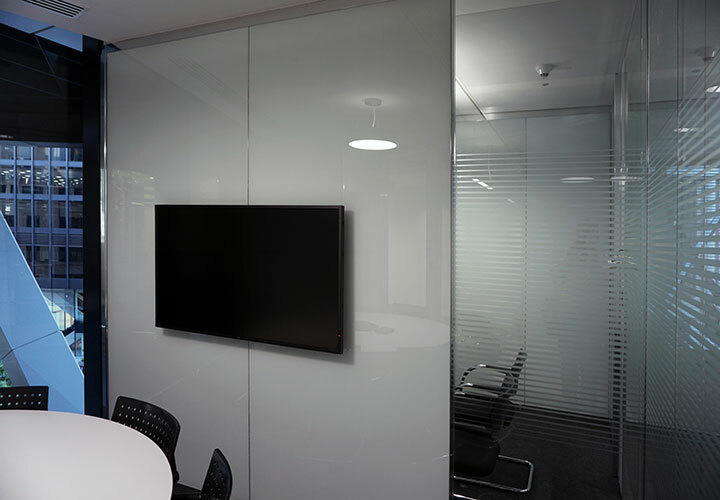 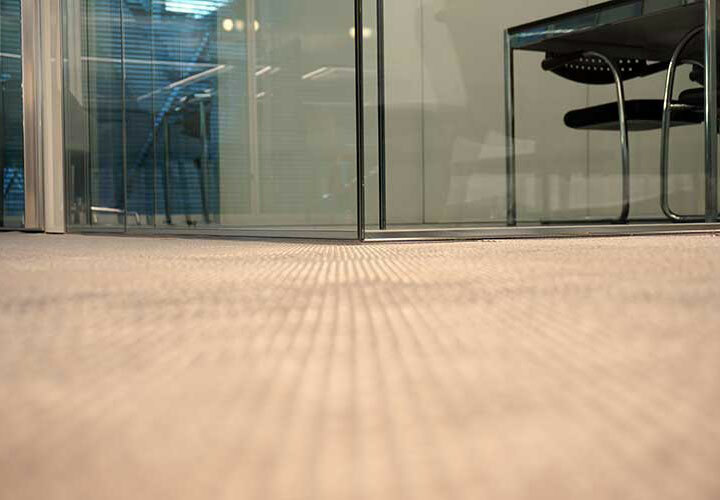 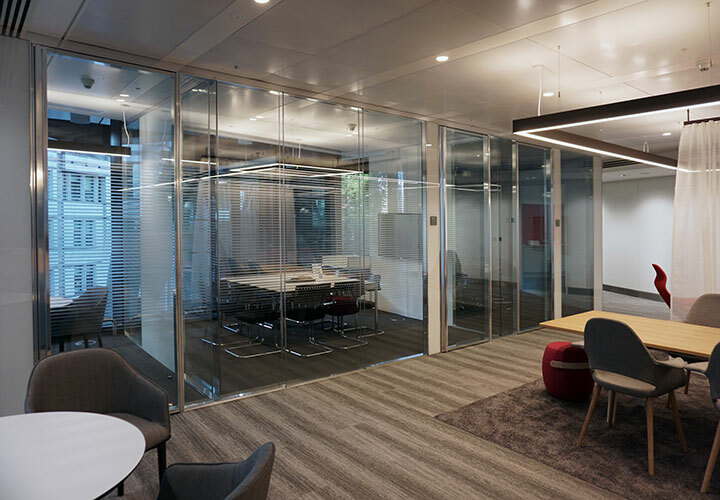 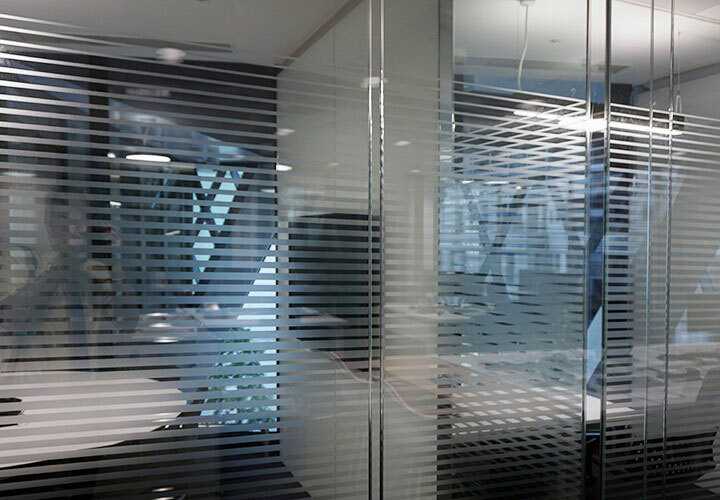 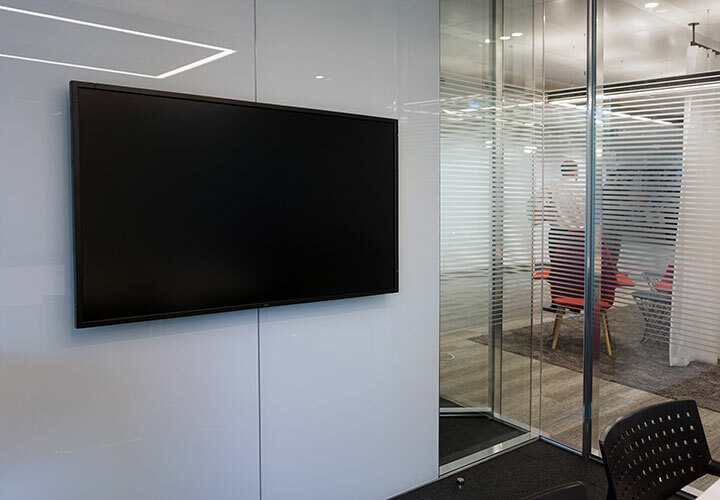 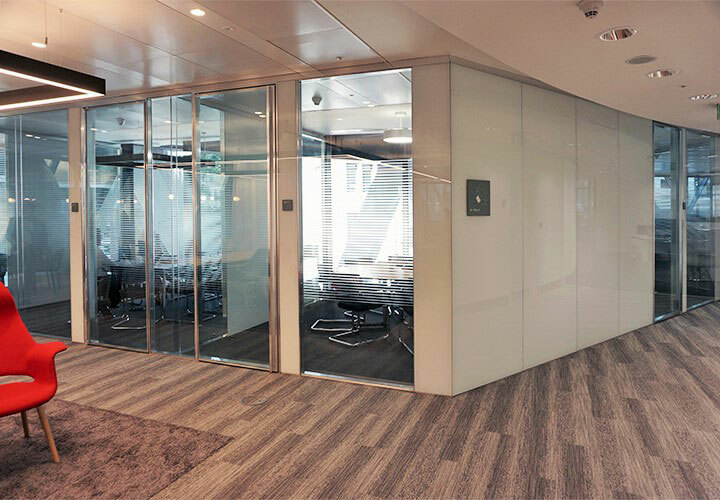 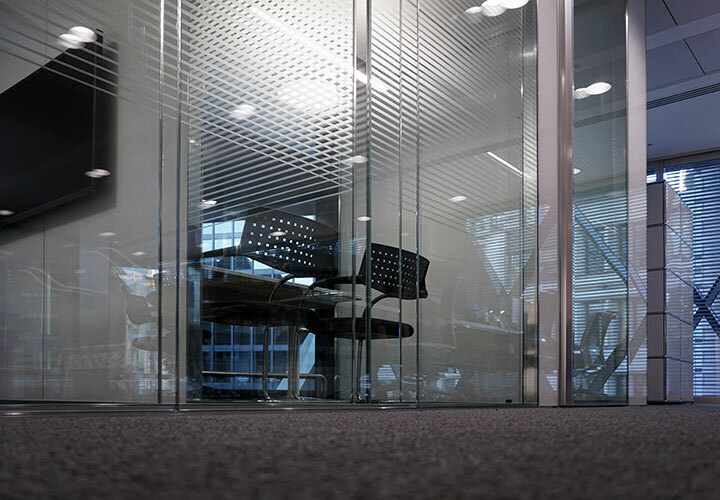 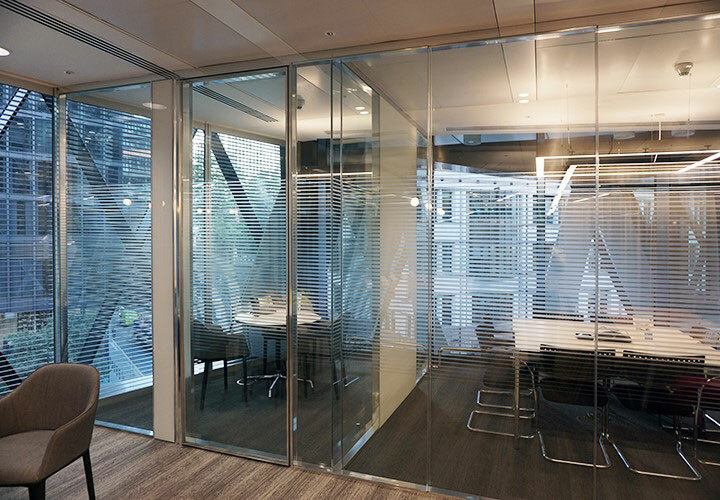 In contrast, and in keeping with the new design brief, new frameless Vista double glazed partitions for the client meeting rooms were chosen. 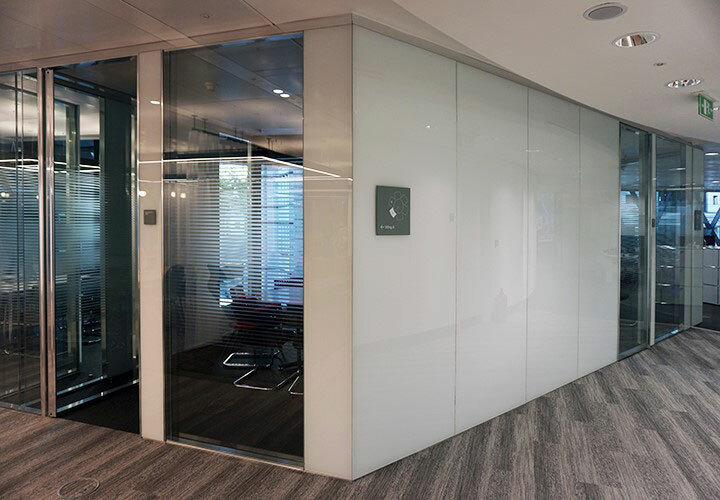 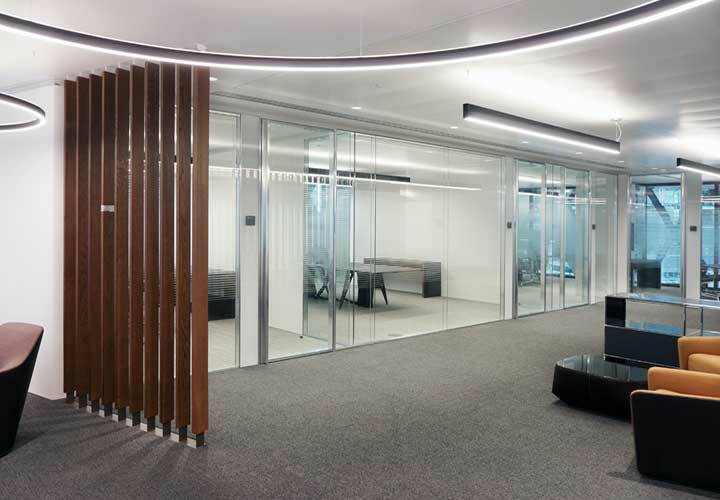 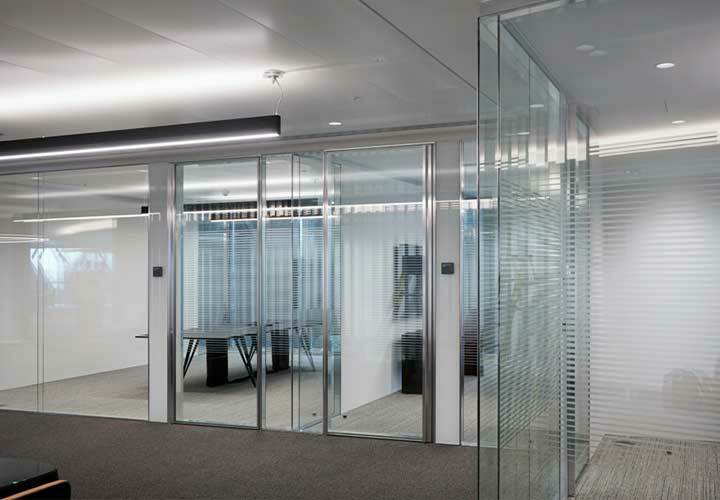 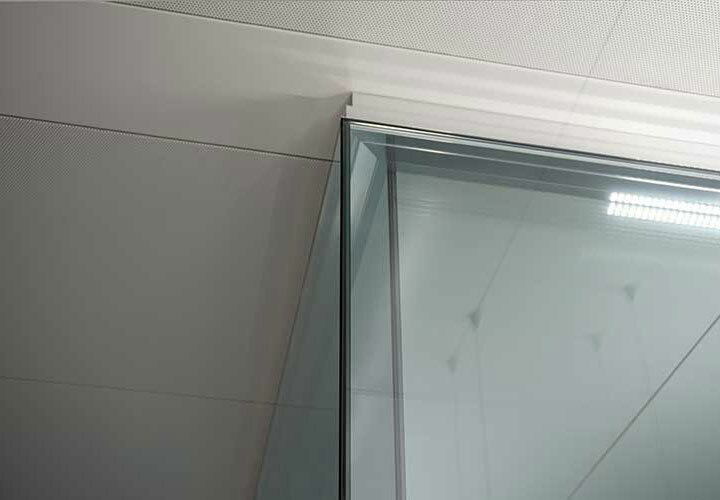 A mixture of clear and white back painted glass with bright polished aluminium structure was specified, with the dividing glazed walls constructed with horizontal panels as a design feature. 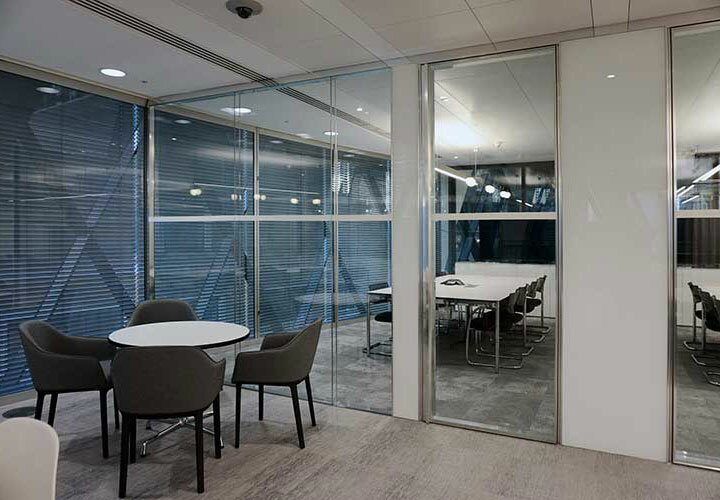 Transparent double glazed corners with clear polycarbonate joints, minimal floor tracks and double glazed pivot doors with full height integral handles feature.